During the Easter holidays we were lucky enough to spend a week in North Devon. Just around the corner from where we were staying was The Big Sheep. 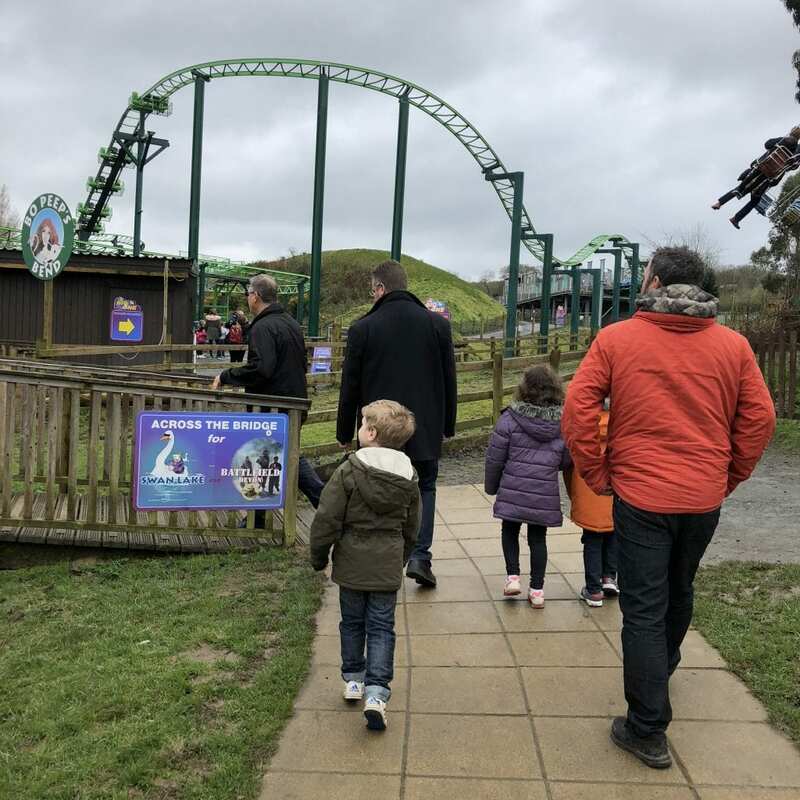 Sadly we were not blessed with nice weather whilst we were away, and on another overcast day with showers predicted we were looking for some family fun. 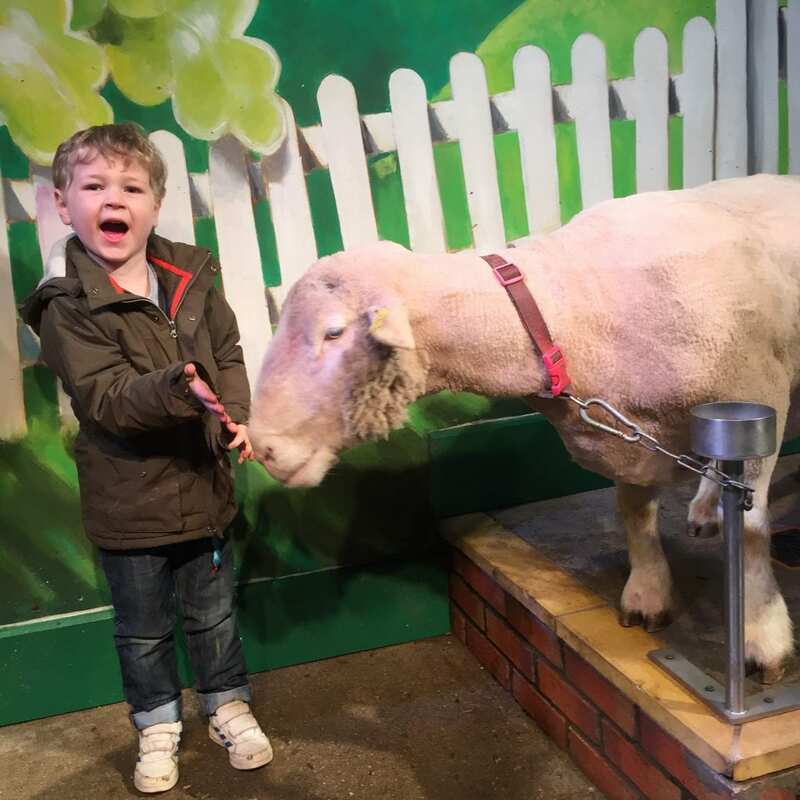 Billed as an all weather family attraction we headed to The Big Sheep to investigate. I’d had a quick look online before our visit, but wasn’t really sure what to expect. We arrived when it opened at 10am, and if I’m completely honest I took one look and thought we would only be there for a few hours. How wrong was I?? We ended up spending the whole day there! Everyone, adults and children a like, really enjoyed the day. 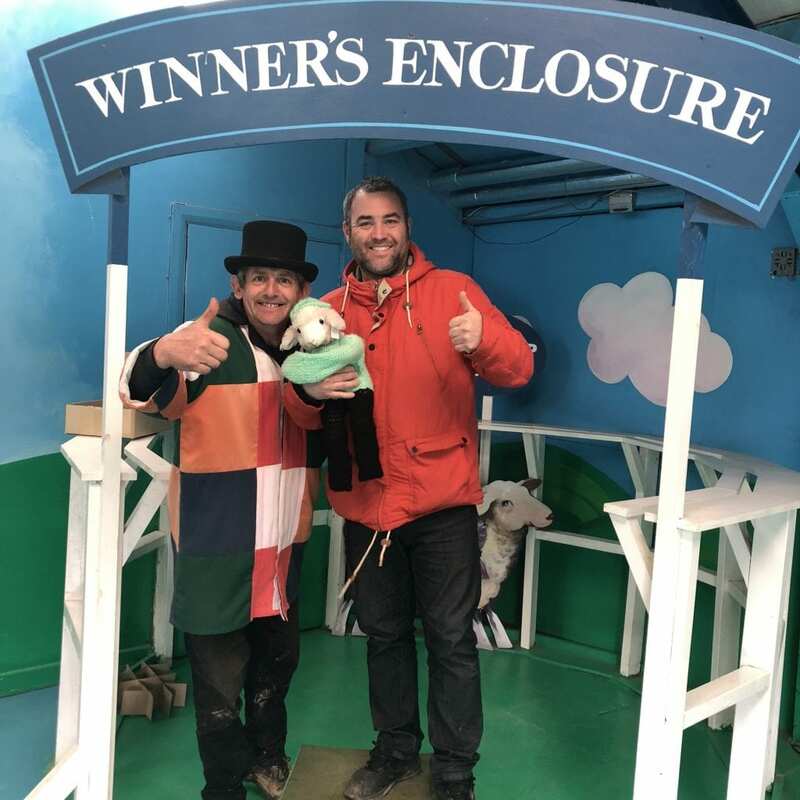 So what can you expect from a day at The Big Sheep? Here’s what we thought of it….. The shows ran throughout the day roughly every half hour. Most of the shows were in an indoor arena, so it really didn’t matter about the weather. The members of staff that ran the shows were very amusing, friendly and approachable, chatting informally to guests after each show. First we went to the Milking Show. The kids got the chance to ‘milk’ a faux cow, and they walked away with a little fluffy sheep each. Next was the Sheep Show. I really enjoyed this, I liked learning about the different type of sheep as the rams came out one by one. At the end we all got to feed them, which the kids really enjoyed. The kids also really loved Bottle Feeding the Lambs. 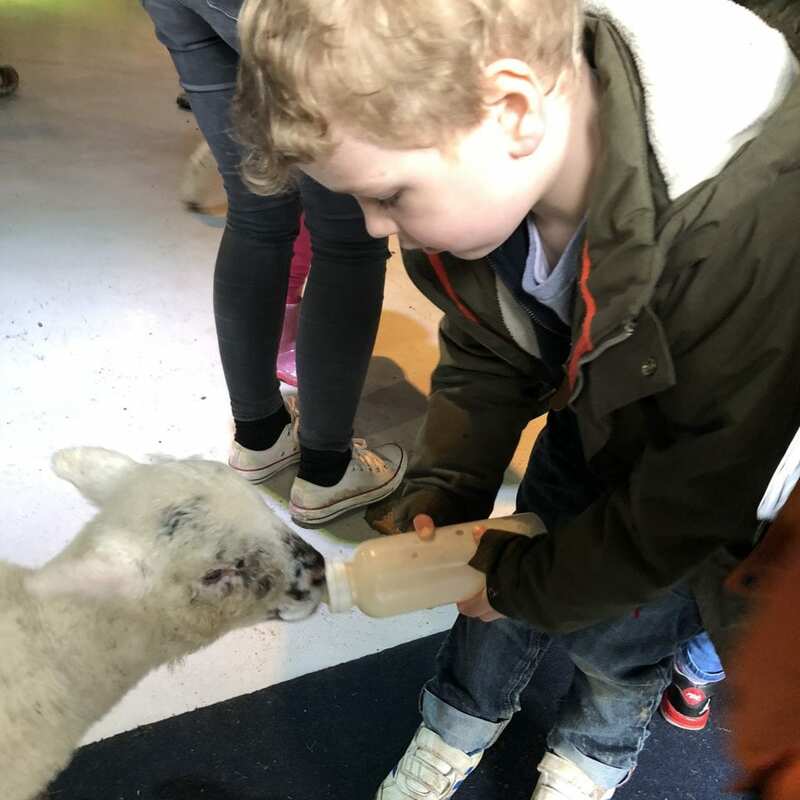 Despite being extremely popular with lots of kids wanting to have a go, it was well organised everyone got to feed a lamb. 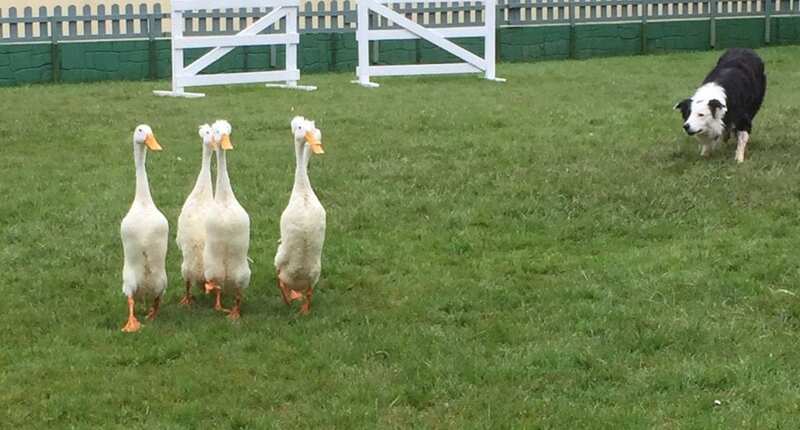 The Duck Trials were fun to watch. These were in an outdoor area, but 2 sides of the spectator bit were undercover, so it really didn’t matter that it started to rain again! 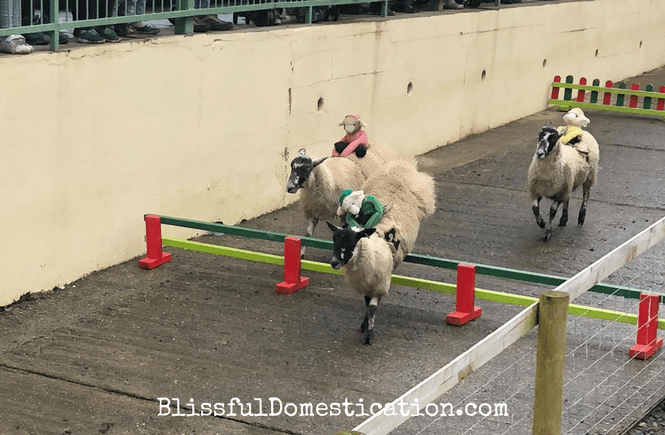 There were also sheepdog trials and training and a sheep shearing show, but we missed these as were too busy doing other things! 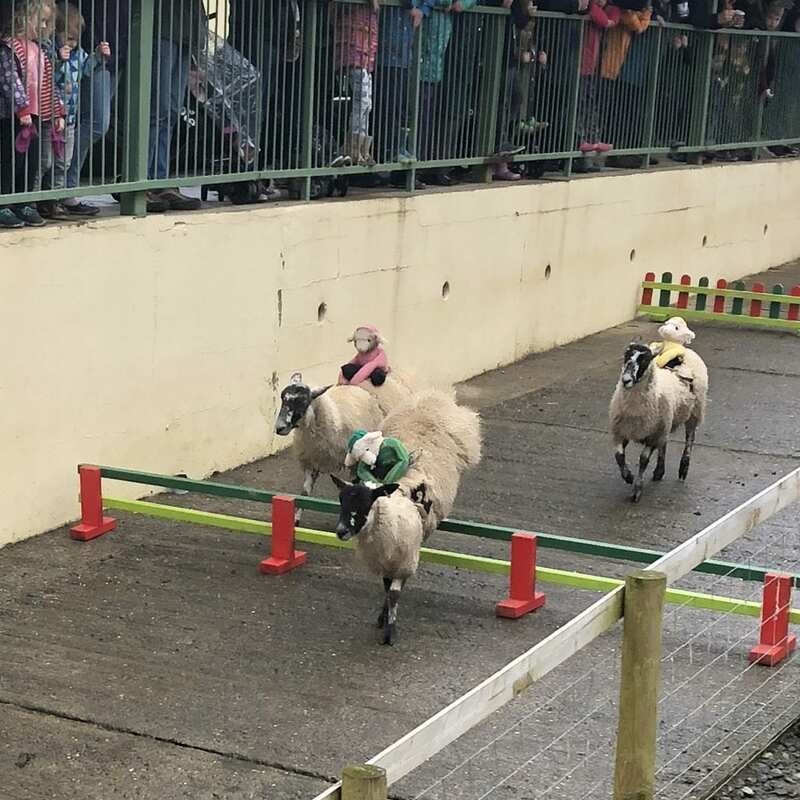 My favourite was the Sheep Racing which was held towards the end of the day. You could place a £1 bet on the sheep you thought would win. In return you got a badge with the colour and name of the sheep. James managed to back the winner, and so he swapped his badge for a mug and winers badge at the winners enclosure. Our favourite was the Rampage rollercoaster! Although closed in heavy rain, we still managed to ride it about 4 times. A great family friendly rollercoaster, fast enough to be exciting without being terrifying for the kids. The kids also loved the Twister Chair O Planes. The queues were very small, so they are able to go on the rides lots of times. 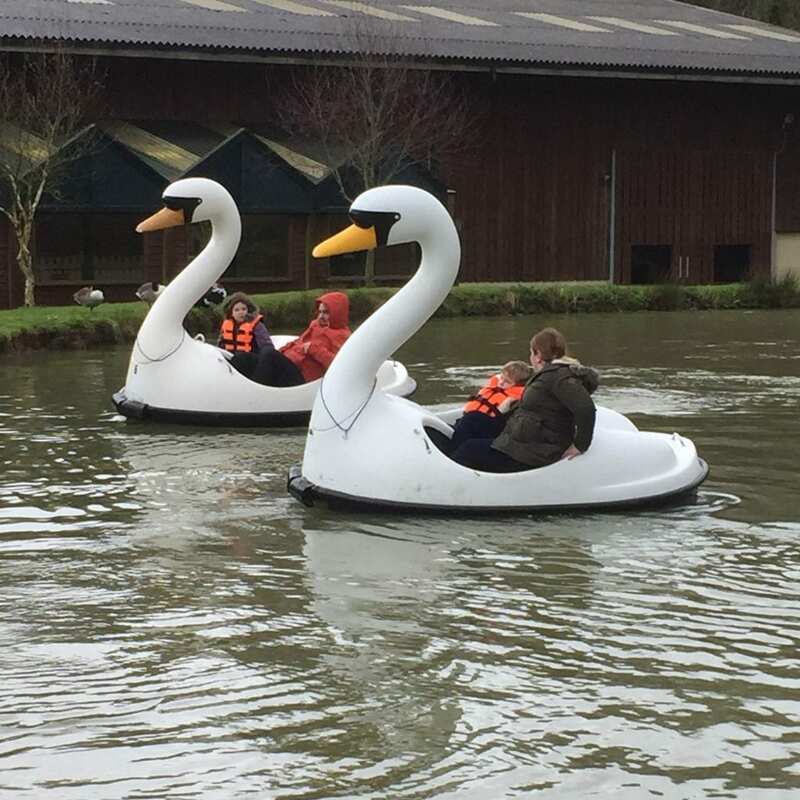 As well as these there was also Go Karts; Mini Tractors; a Vintage Pony Carousel; Piggy Pull Along Ride; Farm Safari Ride; Swan Lake Pedalos (which were really difficult to steer! ); Trampolines; plenty to keep us busy between the shows. 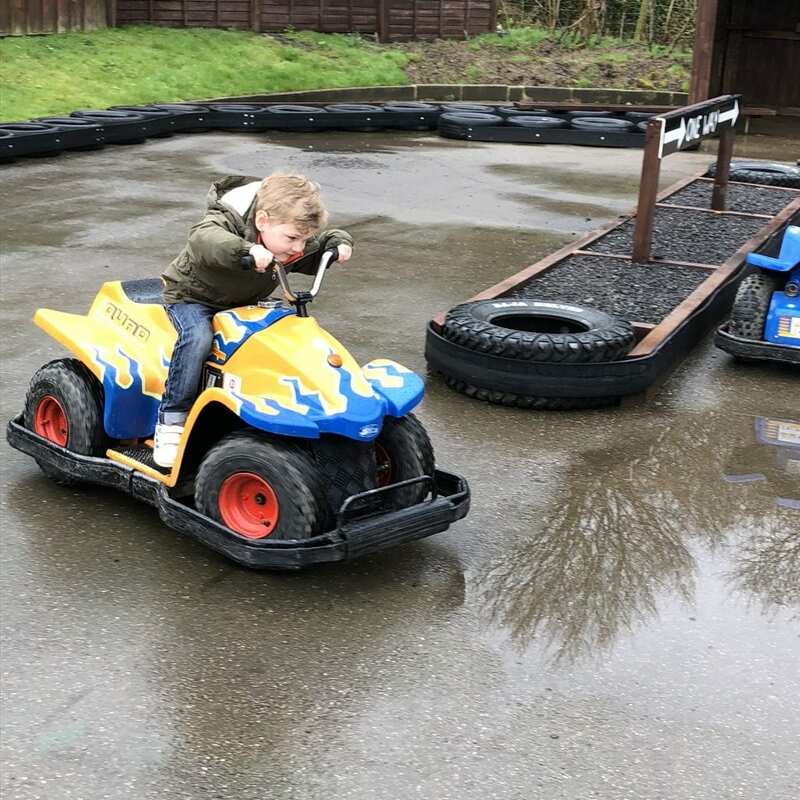 There were also Bouncy Pillows and a Splash Zone– which we didn’t use due to the gloomy weather but I imagine would be great fun in the summer months. 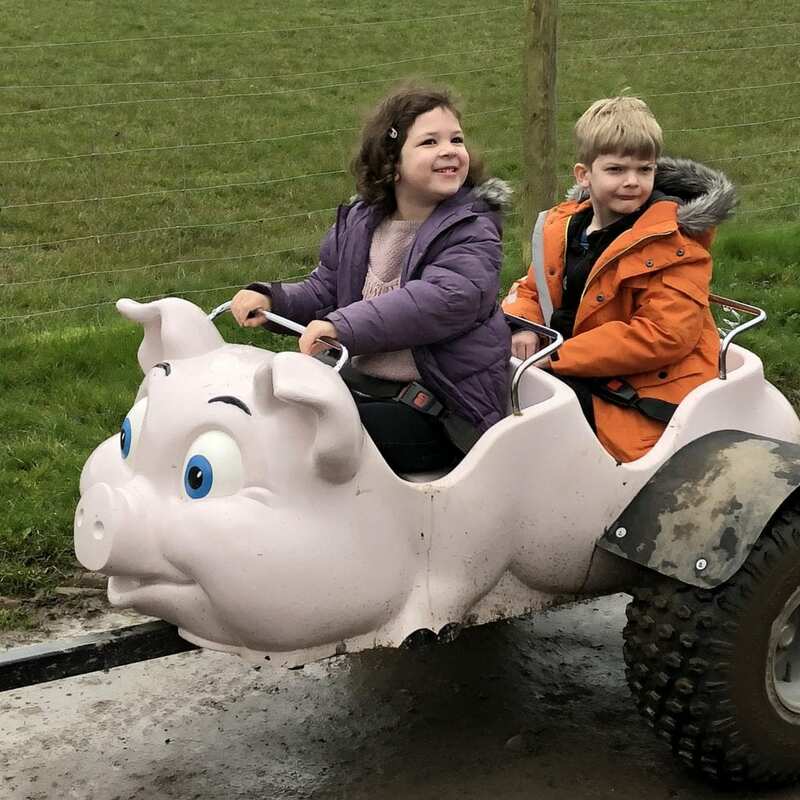 Pony Rides were also available for a few hours in the day for a small additional charge (£1 if I remember rightly), but the kids choose to use their pounds on the mini Quad Bikes instead. There was also a massive Indoor Play Area with 3 huge slides! We saved this towards the end of the day, but really struggled to persuade the kids to leave! I’m not a huge fan of soft play centres normally, but this was one of the better ones I’ve been to, and the kids loved it! The kids got to interact a lot with the animals during the shows, but there was also a massive Animal Barn. The Big Sheep is actually a working farm, surrounded by fields for the livestock. They bring some of the animals in to the animal barn so the kids can interact and see the baby animals. There we’re obviously sheep and ewes with their newborn lambs. 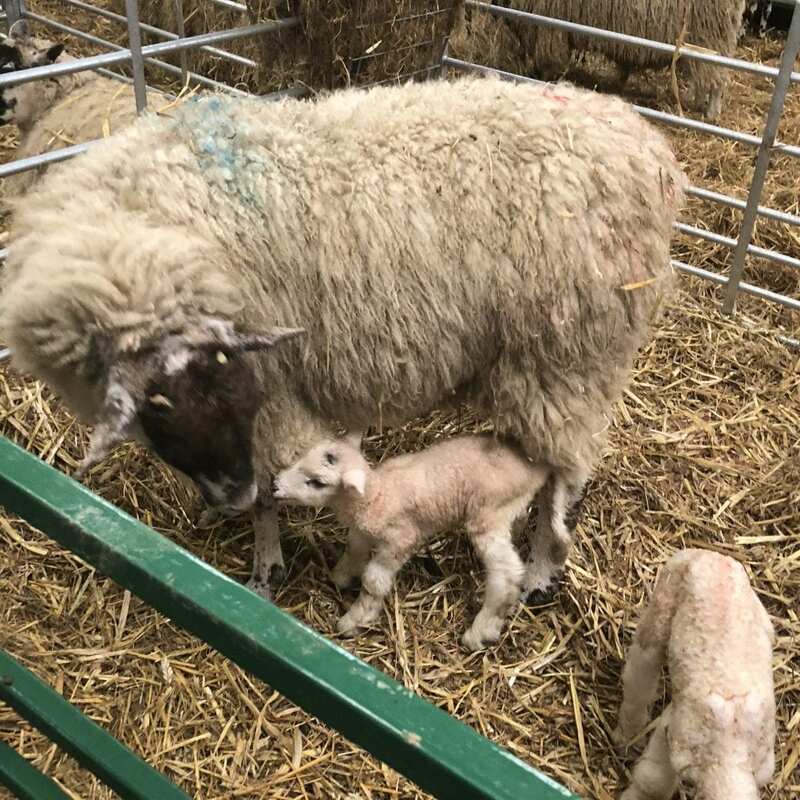 In fact one ewe had literally just given birth when we were there. There were also goats and kids, piglets, rabbits, alpacas and even sheepdog puppies! The staff again were really friendly, and happy to talk to guests about the animals. We ate our lunch at The Barn Cafe. I honestly can’t rave about it enough. I was expecting what you get at most attractions- getting charged a small fortune for a less than adequate fast food meal. The Barn Cafe couldn’t have been more different. It had more of a feeling of a quality Devon farm shop cafe. There was a great selection of hot and cold food including homemade sandwiches, quiches, soup and cakes. The lunch box selection for the kids was great, and there was a lot of choice for them. 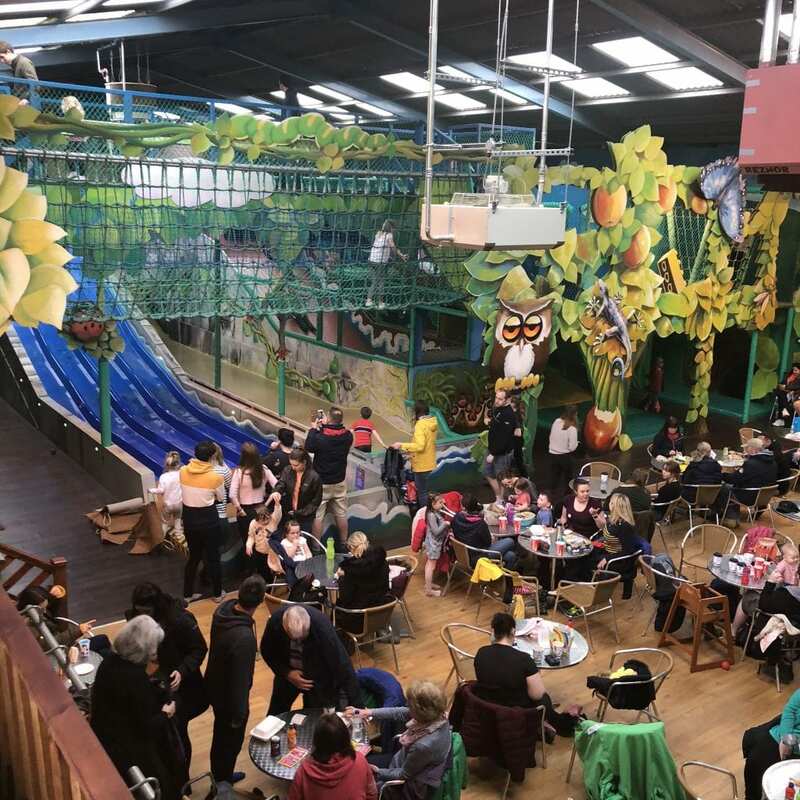 There was a smaller cafe in the soft play barn which also had the lunch box selections, snacks and drinks, and an Ice Cream Kiosk where you could get light refreshments. They do allow you to bring your own picnic if you so wish, and there are plenty of tables dotted around the site to eat it. There was even a Micro Craft Ale Brewery on site, with free tasting all afternoon to keep all the dads happy! Overall we all had a fabulous fun filled day. There really was something for everyone, we went with my parents as well and I think the adults had as much fun as the kids. 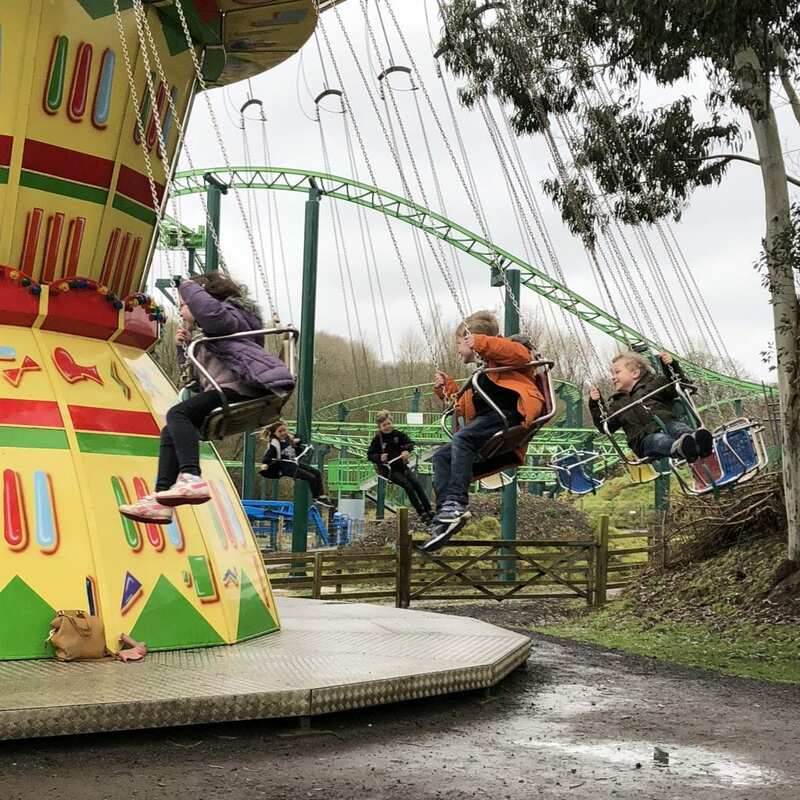 A great combination of fun rides and attractions, informative shows, animal interaction and entertainment and great food and drink. It felt like a proper wholesome family day out, and I would highly recommend it to everyone. So what do you think? 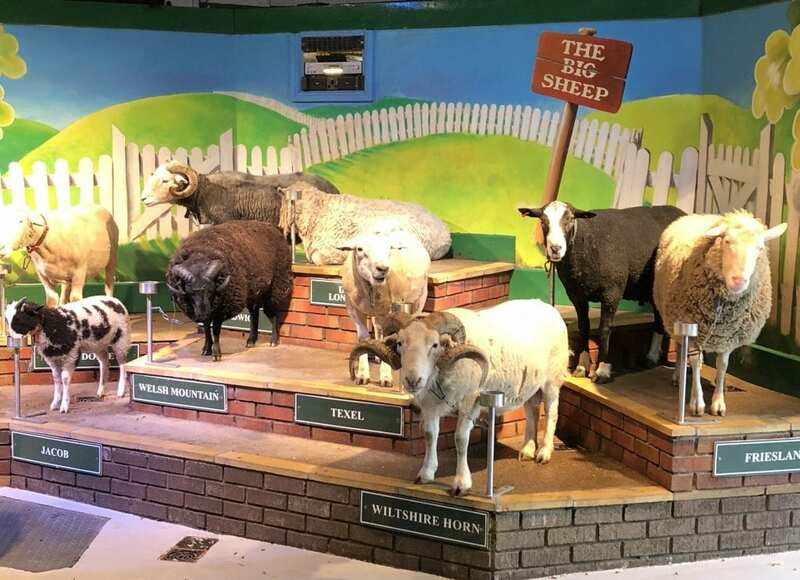 Have you been to The Big Sheep before? I’s love to hear what you thought of it in the comments if you have. 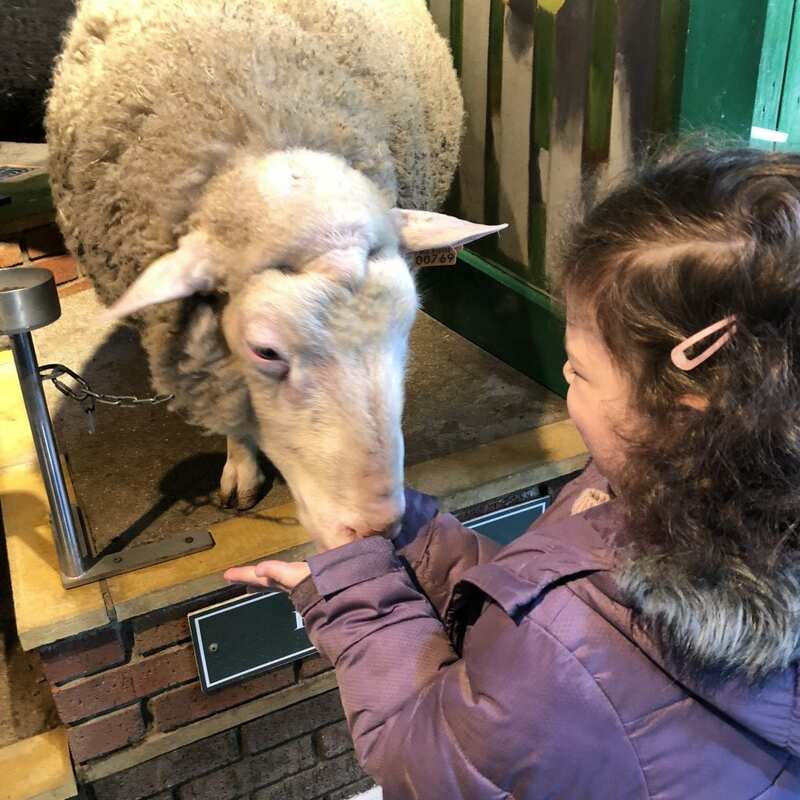 Disclaimer: We were given a family ticket to The Big Sheep in return for this review, however all words and opinions are my own.